Levin’s furniture aren’t the biggest furniture provider around but they are one of the oldest. 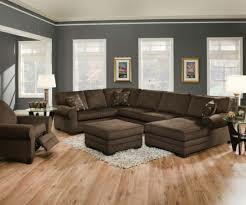 A popular choice for home furnishings Levin are in thousands of homes across the U.S and well known by retailers. Levin’s is still family owned and is growing steadily, with more products and stores than ever before. In our Levin furniture reviews guide you will learn about the history of Levin furniture, the types of furniture they make, reviews of their sofas and recliners, and their furniture warranty policy. Levin’s was founded by Sam Levin back in 1920. They began selling hardware and replacement parts for coal fires as they were popular at the time. Through 4 generations of Levin’s the company has adapted to the times and shifted focus towards quality home furniture. Levin’s furniture have diversified their range and now have a varied selection of products for homeowners. Levin’s was built and developed on the hard working attitude that family businesses have. 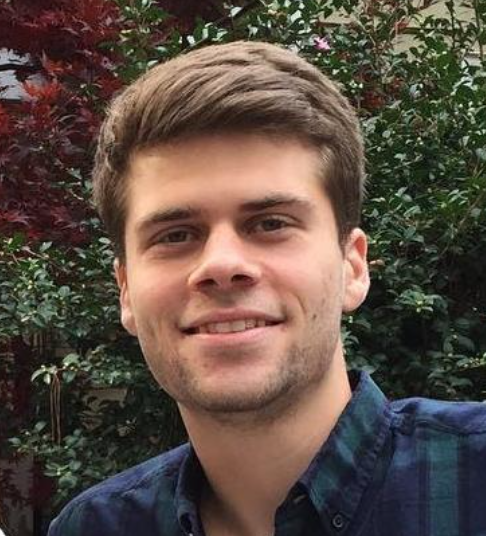 Sam Levin began by offering good quality products that gave value to the customer. Levin’s these days is built on their quick and efficient service, competitive pricing and durable quality. Levin’s is a truly American company that have stood the test of time. Operating for almost 100 years they’ve grown and become a big company in the industry. Still built on traditional values Levin’s is one of the furniture companies out there still with a lot of character. With the Levin family still in charge there are direct links back to their roots. Let’s take a look at their products. Levin’s have furniture for the whole home with collections for living room, dining room, bedrooms, outdoor furniture, kids furniture and even mattresses. They offer accessories and a wide range of versatile storage solutions that let you make the most of the available space. Levin’s have based their products around solving problems in the home. With innovative design and construction they have developed effective ways to utilise space effectively. Levin’s have combined comfort and style in their homeware so that the user get’s the maximum benefit. Levin’s have developed new techniques so their furniture is built to a higher quality. All products are quality checked and only stocked by their stores to avoid any customer service issues from retailers. Levin’s core products have always been their living room collections and while they have an impressive range of tables and beds, It’s their sofas and recliners that are their most popular products. 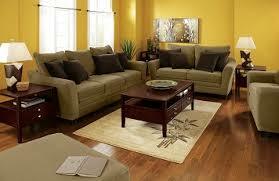 If you are looking for other living room furniture in this medium price range check out Universal Furniture. 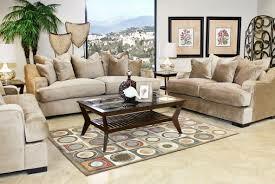 Selecting the right sofa for your living room is essential to achieve the desired look. There’s a lot to choose from and Levin’s host all the popular options in their stores. Firstly you can choose your type of sofa. Popular options include love seats, corner sofas or even chaise lounges but your choice will depend on the space you have available. If you are interested in chaise loungers take a look at Klaussner chaise lounges. Each of these are designed differently to match a particular look in your home. Have a look through each to see which would be best suited for your living room and which you’d most prefer to have. After you’ve selected style Levin’s have over 15 different colours to choose from. Again you’ll want to match any existing furnishings you have within your home. You can also choose between fabric or leather, with leather giving a more classic look. Leather is also more durable so for a longer term investment it’s certainly worth considering. If you are interested in other sofas that have a huge amount of different color and leather choices, then you should check out Southern Motion sofas as well. From style to features Levin’s are giving you a massive amount of choice when it comes to your sofa. This allows you to take fairly standard units and make them perfect for your needs and wants. The best thing to do is to go down to your local dealership and try a few out, while you’re there you can talk about which additional extras you’d like. Each style has slightly different features and colours to meet the requirements of the buyer. There are over 15 different colours of recliner available with a range of different fabrics to choose from. Leather recliners are the traditional choice that have the dual benefit of looking classy and being more durable to wear and tear. 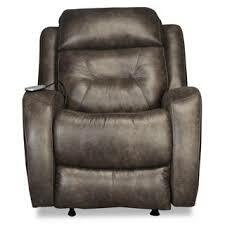 There are modern leather recliners and more traditional leather rockers, a recliner for every home. Levin’s even offer vinyl recliners. The motion you’ll choose will be dependant on your use of the recliner but the different available options are impressive. Levin’s offers these options to bring extra value to the customer and show how Levin’s have adapted their products with the times despite being one of the oldest furniture providers in the industry. If you are looking for recliners that are some of the most advanced in the industry, take a look at napping recliners. Levin’s furniture is all about modern meeting the traditional. It resembles the company which has moved into the future, but still have strong ties with its past. The amount of choice is impressive and shows that Levin’s have developed a good understanding of the customer in their long history. It’s always important to consider user reviews before purchasing any item, especially one that will sit prominently in your home. Levin’s reviews are mixed with some very pleased with the product, others very disappointed. Common criticisms include a lack of durability and less than desirable quality. “Very disappointing. Bough couch and loveseat in July 2012 and now both pieces have to have the frames rebuilt” - Stanley Y. Other criticisms include shortcomings in Levin’s customer service and slow delivery times. Levin’s quality does seem to be an issue but we have to remember that most reviews are always going to be bad, because people are more incentivised to write reviews when something goes wrong. That being said there is definitely just cause to be wary with Levin’s products. We have found them (Levin) to be incredibly durable even under the test of two small, yet very energetic children. Completely satisfied with the quality and value for our money spent on this sofa. So while the bad quality reviews may be isolated incidents, be sure to check all of the products thoroughly when they are delivered and report any problems immediately. Take some time to carefully check any warranty through with a sales agent before purchasing so you know where you’ll stand it something goes wrong. Levin’s offer a warranty to back up all of their products. They have a 1 year warranty, fairly standard in the industry, which covers all workmanship and defects in any of their products. Standard wear and tear won’t be covered and warranty can change for specific items so discuss it thoroughly with your retailer before purchase. Levin’s is a decent mid range furniture supplier that has a good range of products. 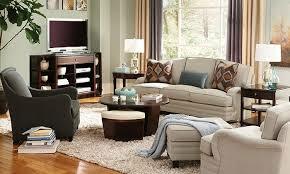 The styles and options are fairly simple but everything the average homeowner will need for their living room. Levin’s construction quality seems fair but with furniture you get what you pay for so don’t expect the pieces to last for as long as higher end products. Levin’s furniture isn’t the biggest but has a solid range. It’s a good option in the mid range market and you might just find some value for your home. Find your local dealer today to see what’s available. Thank you for visiting Consumer Home Decor, if you are looking for more furniture reviews, click here!